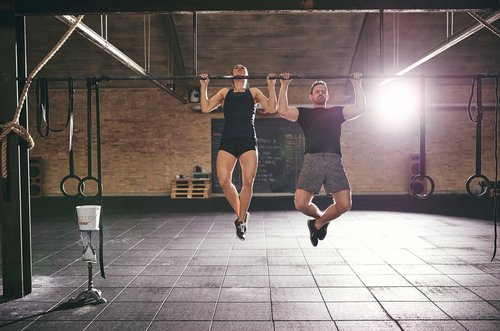 Many of us just dread going to the gym, as you certainly aren’t alone if you fall in to this category. If this sounds like you, try taking up other activites instead. This includes bike riding, paddle boarding, football, soccer, swimming, volleyball etc. Any recreational activity that requires effort is going to burn you calories, and you will have fun doing it. 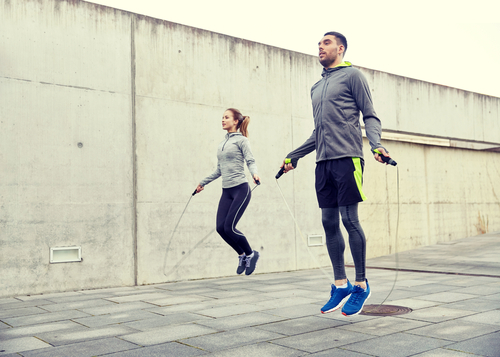 Exercising with a friend or group of friends by taking up a sport on the weekends makes it that much more fun, and something you look forward to doing as opposed to dreading the gym. Water not only helps to fill you up, but being hydrated helps you to burn more of those calories off, and quicker as well. Many people who drink a glass of water prior to eating feel that it helps them eat more appropriate portions, due to the limited remaining room in the stomach. Keeping a bottle of water around for the person who likes to nervously eat or just does so out of habit along with watching their favorite television shows is a good idea as well. Instead of grabbing some chips, pretzels or some other snack food that has no nutritional value outside of calories you can substitute that with water which is healthy and has no calories. The same idea works with fruit juice, sports drinks, energy drinks and soda. Drinking an excess of calories is a lot easier to do than it is to eat them, so try to avoid these drinks especially. This may sound counterintuitive, but studies show that depriving your body of food you crave makes the individual eat more out of hunger defeating the purpose of cutting calories. A better option instead is to incorporate healthy foods that you will enjoy, foods that have high fiber and protein which will satiate that hunger craving. Berries, grapes, cherries, raw bell peppers, celery, and broccoli are good snack choices. These are foods that can be eaten on the run, or at work for a snack. Healthy snack choice that can be substituted for a trip to the vending machine will help you cut calories and save money all while remaining satiated. Since we are going to be eating the same amount or slightly more, it is a good idea to try and schedule in an additional workout or exercise routine to offset these extra calories. Let’s face it, if you live in the United States and have ever gone out to dinner, chances are that your plate is overfull from the huge portion sizes that they serve. We simply do not need to eat this many calories, so it would be a good suggestion to share meals. Sharing meals not only cuts down the portion sizes and of course the cost of your meal; but also makes you consider the health of whoever you are eating with as well. 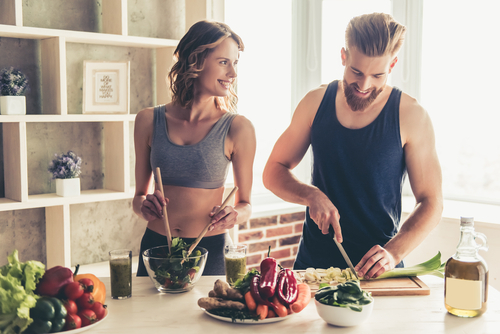 This may not seem like a huge issue, but when a person is choosing a meal that is not only for themselves but for someone else as well, the person in question will choose a healthier option. Another thing to consider that can easily be overlooked when dining is the size of the dishware itself. 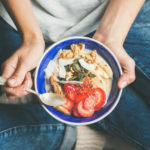 Putting a smaller portion of food on a larger plate gives our brains the impression that there isn’t a lot of calories on the plate, leaving us craving more. Conversely, if you were to take that same size portion and put it on a smaller plate, a different effect will result. Our brains will think that there are a lot of calories in this same portion because of its size relative to the plate. So the same size portion of food could either leave you satiated or unsatisfied solely depending on the dish that it is served in. By this we mean that you should be eating on a regular schedule. Many people snack late at night before bed or in between meals which really packs on the pounds. Keeping to a more strict eating schedule and of course keeping these foods out of the house will help. If need be make a schedule and plan out your meals at specific times to better get your body acclimated to your diet, and to increase your chances of success.